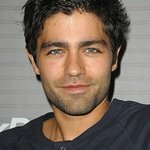 Adrian Grenier has released a video calling on people to practice compassion (treating others as we’d like to be treated ourselves) in everyday life. He created the video for the Charter for Compassion — a global movement that has more than 85,000 active participants, including the Dalai Lama, Deepak Chopra, Sir Richard Branson and Goldie Hawn. The Charter for Compassion is a call to restore the Golden Rule to the center of religious, moral and civic life: treating all others as we wish to be treated ourselves. The Charter is making a big impact around the world, from schools in Pakistan to the city of Louisville, Kentucky and hundreds of places in between. Adrian’s video can be seen here. The video is the kick-off of “Assignment: Compassion,” an international YouTube video campaign to get more people to affirm the Charter for Compassion and submit their own video about how an act of compassion has changed their life. The best videos will be featured alongside Adrian’s here. The Charter for Compassion was created in 2009 by a multi-national multi-faith panel as part of Karen Armstrong’s TED Prize wish. More information can be found at CharterforCompassion.org.